Does this Abundant Crustacean Need Protection from Our Appetite? Photo: Uwe Kils. Creative Commons BY-SA (cropped). But Antarctic krill are also increasingly sought after as a source of food for farmed seafood, livestock and poultry. And although you probably won’t find krill on the menu anytime soon, their omega-3 fatty acids and other nutrients have made them popular for human consumption in the form of krill oil. Since 2010 the world catch of Antarctic krill has grown by about 40 percent. While tiny, krill are considered one of the most abundant species in the world; their combined biomass is estimated to exceed that of all the people on the planet. But even though the supply of krill would seem inexhaustible, scientists are concerned what the combination of fishing and climate change (including ocean acidification) means for Antarctic krill and, in turn, for the entire Antarctic marine ecosystem. In many ways, these tiny crustaceans are becoming a key factor in thinking about what we choose to eat in a high CO2 world. For at the same time krill fishing has increased, krill habitat has been disappearing as the Southern Ocean warms — more rapidly than previously thought and faster than any other ocean. Krill need both sea ice and cold water. Rising temperatures reduce the growth and abundance of plankton on which krill feed, while loss of sea ice removes habitat that shelters both krill and the organisms they eat. 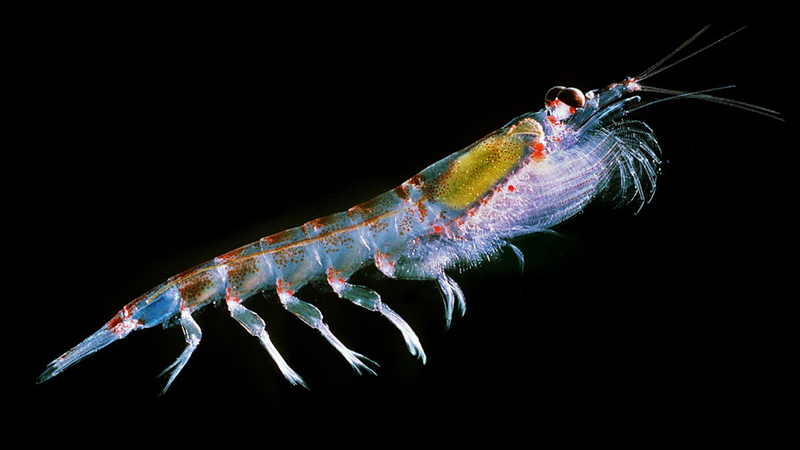 So when Antarctic sea ice declines, so do krill. One recent study suggests that if current warming and increasing CO2 trends continue, Antarctic krill could lose at least 20 percent — and in some, particularly vulnerable locations, as much as 55 percent — of their habitat by the end of the century. 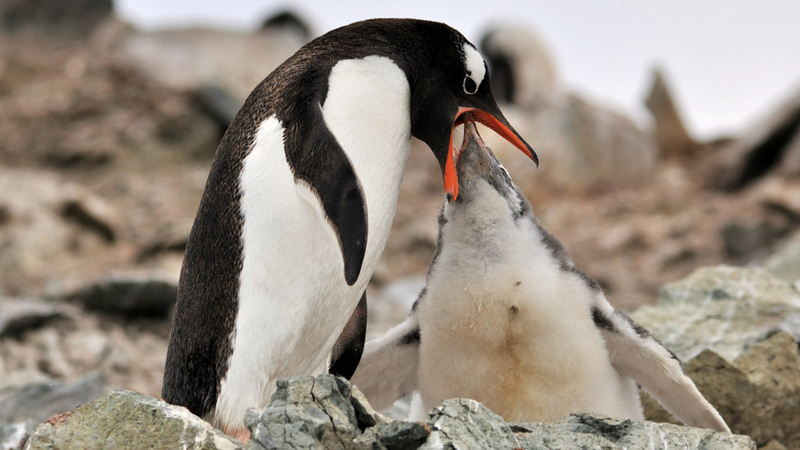 The nutrients that make krill so important to penguins and other Antarctic wildlife are the same ones that make them attractive for aquaculture, livestock and poultry feed, and human consumption. Many scientists, including marine biologist Rodolfo Werner, adviser to the Pew Charitable Trusts’ Global Penguin Conservation Campaign, are concerned that overexploitation of this remote food source — particularly in the face of rapidly changing environmental conditions — could take a devastating toll on the entire Southern Ocean ecosystem. So in many ways, these tiny crustaceans hauled out of the sea in one of the world’s most remote places are becoming a key factor in thinking about what we choose to eat in a high CO2 world. While still exceptionally abundant, according to the US National Oceanic and Atmospheric Administration, Antarctic krill populations have dropped an estimated 80 percent since the 1970s. Precisely why, scientists have not determined, but loss of sea ice is thought to be a major factor. There is also new research indicating that Antarctic krill play an important role in how the Southern Ocean absorbs carbon. According to a report released earlier this year by the Antarctic and Southern Ocean Coalition, each year Antarctic krill absorb an amount of carbon equivalent to the weight of 15.2 million cars, or about 0.26 percent of annual anthropogenic CO2emissions. Krill are also crucial for moving nutrients from the ocean sediment to the surface, making them accessible to the entire suite of marine species. All of this underscores the importance of maintaining abundant healthy krill populations. And it has scientists, international fisheries managers, seafood and fishing industry businesses, and conservationists grappling with how to balance a lucrative krill industry with protection of what’s considered a key species for one of world’s most climate-sensitive ecosystems. The commercial Antarctic krill fishery dates back to the 1960s, Werner explains. At that time the main fleet was from the Soviet Union, and the krill catch went mainly to cattle feed. Thanks to government subsidies, the Soviet fleet’s catch grew steadily until the early 1980s. It then dropped off with the elimination of subsidies and breakup of the Soviet Union. Antarctic krill are increasingly attractive as an aquaculture feed, particularly for raising farmed salmon. Photo: Norsk Havbrukssenter. Creative Commons BY-SA (cropped). The Antarctic krill fishery, now dominated by Norway, Korea and China, has been growing with increasing commercial interest in krill for omega-3 related products and for farmed seafood, pet, poultry and livestock feed. Most of the catch goes to animal and fish feed, with the rest to nutritional supplements and a very small portion processed for direct human consumption, mostly for Asian markets. Aquaculture is currently the fastest growing animal food industry, and Antarctic krill, with their high nutrient values, low concentration of pollutants and pinkish color (which can lend a desirable hue to seafood), are considered increasingly attractive as an aquaculture feed, particularly for raising farmed salmon. The aim is to keep the entire Antarctic marine ecosystem — the krill, the animals that eat them, and the interactions and processes that connect them — healthy while still providing economic and food security benefits. Active management of the Antarctic krill fishery began in 1982 when the Commission for the Conservation of Antarctic Marine Living Resources formed in response to concern about growing commercial interest in Antarctic krill as well as exploitation of other Southern Ocean species — among them, fur seals and whales. An international treaty, CCAMLR is part of the broader Antarctic Treaty System. Its major goal has been to develop ecosystem-based, precautionary management for the krill fishery. As part of these efforts, CCAMLR sets enforceable catch limits and monitors fishing, fishing methods and krill populations. The aim is to keep the entire Antarctic marine ecosystem — the krill, the animals that eat them, and the interactions and processes that connect them — healthy and able to sustain fisheries that are both economically viable and can contribute to global food security. But to catch Antarctic krill without harming other Southern Ocean species has taken considerable effort, explains Eikrem. When Aker BioMarine started its krill operations in 2003, it was clear that “the conventional trawling system was not going to work for krill, at least not for us,” he says. So the company began developing technologies that would allow its boats to catch krill without also trapping seals, birds, penguins or other marine mammals. 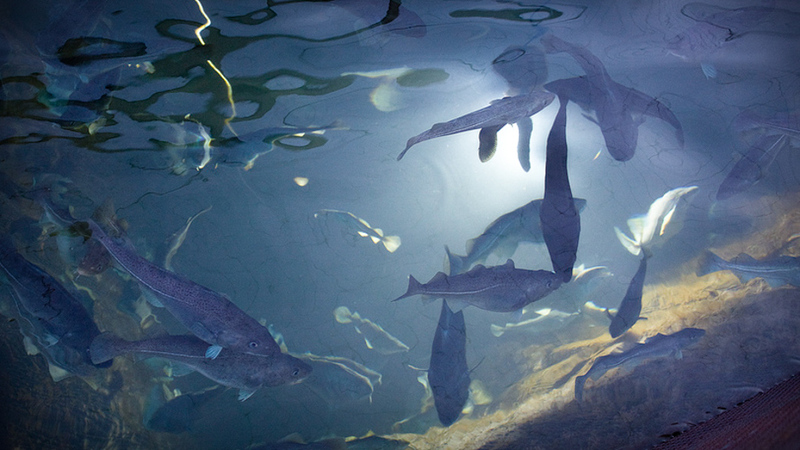 Aker BioMarine has also been working with World Wildlife Fund–Norway to develop other conservation measures. With WWF–Norway, Aker BioMarine has launched the Antarctic Wildlife Research Fund (also supported by Blackmores and Swisse, two Australian companies that sell krill oil products) to carry out long-term research on krill and their changing habitat. The fund’s first fieldwork — studies of krill, their predators and their environment — is expected to get underway during the 2016 Antarctic summer that begins in November. Despite these ongoing efforts and the limits CCAMLR has imposed on krill catch, scientists and conservation groups — Pew Charitable Trusts, which manages the Antarctic Krill Conservation Project, and Oceana among them — are concerned, especially in the face of retreating sea ice and warming waters, that so much krill fishing occurs in the same places where penguins and seals hunt for krill. Commercial krill fishing also takes place during the summer open water season, which is when penguins and seals feed their young. Observations of Antarctic wildlife over the past 20 years suggest an increase in the times when parent penguins, albatrosses and seals have trouble getting enough krill to successfully feed and raise their babies. A penguin feeding its young. Photo: Cody Kwok. Creative Commons BY-NC (cropped). The World Wildlife Fund and Marine Stewardship Council, which has certified Aker Biomarine’s krill fishery, maintain that current Antarctic krill fishing is conservatively and sustainably managed. But in the face of climate change and increasing demand, many scientists and conservationists are recommending additional precautionary measures. To better protect krill and other Antarctic wildlife and their habitat, Pew and other conservation groups have called for wildlife observers on all krill fishing vessels, dedicated funding for ongoing monitoring of Antarctic krill predators and more localized, focused management of krill fishing areas to better protect vulnerable habitat and species. The conservation group Sea Shepherd, along with Pew and other environmental advocates have been calling for the CCAMLR Antarctic Treaty area to become a marine reserve. While concrete proposals have yet to be formulated, discussions of what such reserves might look like are now underway among Antarctic Treaty members, explains Andrea Kavanagh, director of Pew’s Global Penguin Conservation Campaign. “We are seeing a localized depletion of krill in penguin feeding grounds due to targeted fishing pressures,” says Kavanagh. “Add to that the increasing threat of climate change impacting where several species of penguins can breed or forage, and the need for conservation measures becomes even more pressing.” Marine reserves and protected areas are the best way to protect these and other Antarctic species, she says. CCAMLR considers the krill catch numbers it currently allows to be “precautionary”, Werner says. These catch limits are designed to ensure there will always be enough krill to maintain healthy breeding. And the current annual Antarctic krill catch is estimated at only about 0.3 percent of the Southern Ocean’s estimated population — roughly around 200,000 metric tons (220,000 tons). Whether the current trajectory of Antarctic krill conservation is sufficient to maintain populations needed to support the Southern Ocean ecosystem — especially in the face of rapidly accumulating climate change impacts — remains to be seen. What is clear, however, is how important the long-term health of this tiny creature is, not only to Antarctica’s charismatic megafauna but to the entire region and to places — and people — well beyond. Does this Abundant Crustacean Need Protection from Our Appetite? by Elizabeth Grossman is licensed under a Creative Commons Attribution-NoDerivatives 4.0 International License. Elizabeth Grossman is an independent journalist and writer specializing in environmental and science issues. She is the author of Chasing Molecules, High Tech Trash, Watershed and other books. Her work has also appeared in a variety of publications, including Scientific American, Yale e360, the Washington Post, TheAtlantic.com, Salon, The Nation, and Mother Jones.